← Day 61: Vibroacoustic Harp Therapy. You know what time it is… voucher time! 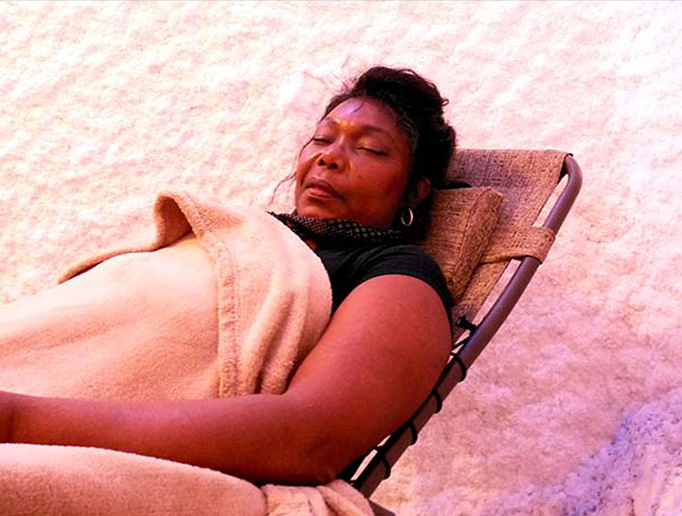 Today, I tried something called halotherapy. Contrary to what you may be thinking, it did not involve discussing my problems with angels, nor trying to become Ms. Goody Two Shoes. 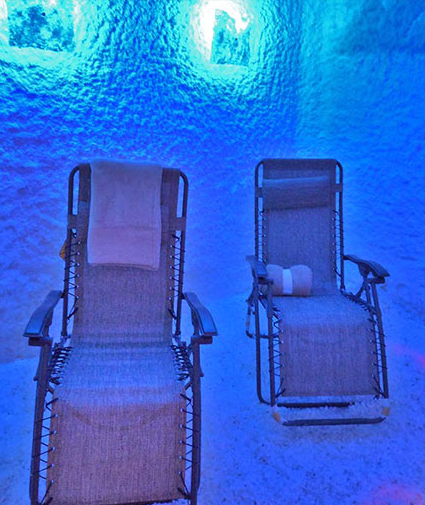 Rather, it consisted of sitting in a Salt Cave for a treatment slightly better known as salt therapy. Mmmmm… salt. The deal offered a one-hour salt cave treatment with a resurfacing facial option, and, being all about the options, I also enjoyed losing some of the dead skin cells from the top layer of my face. 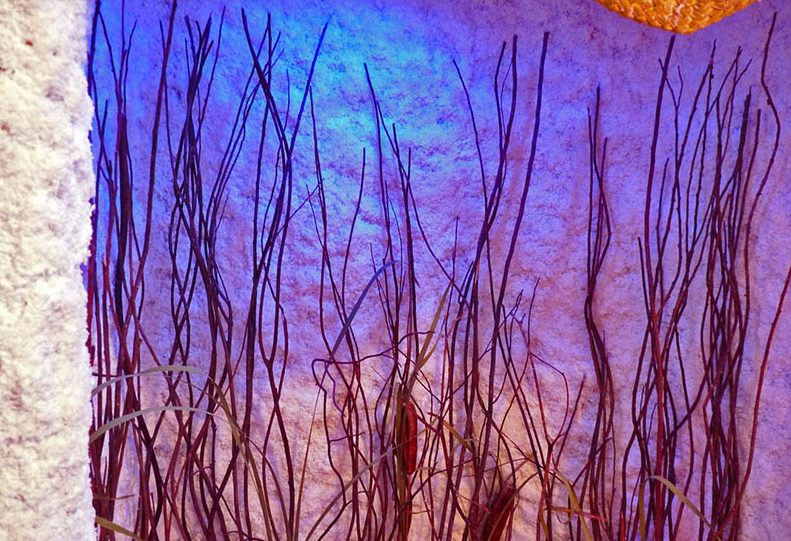 Where would you find a salt cave in downtown Toronto, you might be wondering? On the Danforth, naturally, inside Amethyst Spa and Salon, a lovely place run by the very energetic Yvonne Wilson. Sure, you could fly to Slovakia, Poland or the Ukraine to visit a natural salt mine spa, but being a mere subway ride away, this place can have you home in time for perogies at a fraction of the cost. Still wondering what the heck a salt cave is and what it is used for? So was I when I walked in there this morning. I mean, I had read a little bit about it, but Yvonne filled me in on some of its more practical applications. 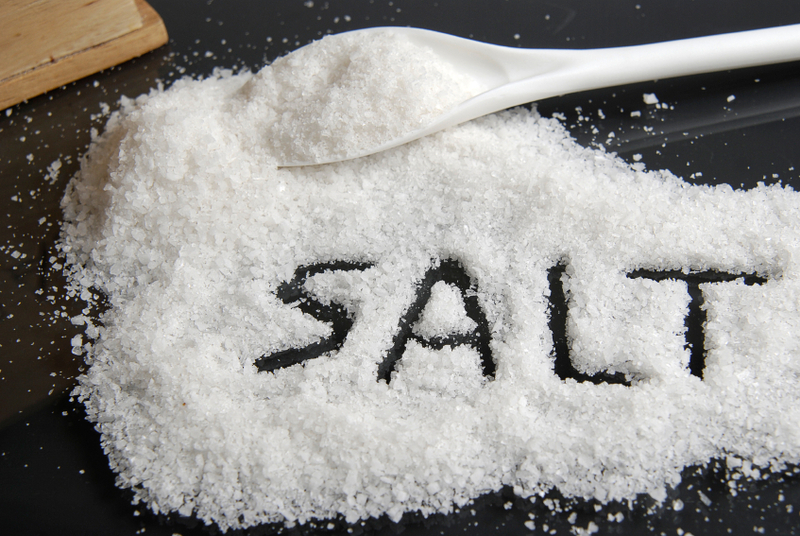 Basically, the idea originated from noticing that salt miners did not get any lung diseases, and that sufferers of the likes of asthma and cystic fibrosis were considerably better when they were next to the ocean. Yvonne herself suffers from asthma, but by sitting in her salt cave 3 or 4 times a week, she no longer uses her inhaler at all, except when she travels, and she feels so much better without the side effects of the steroids. Her doctor is simply astonished with her results. 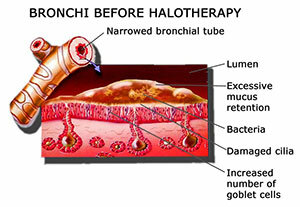 It can be used to treat all kinds of respiratory and skin conditions, and has even been featured on CNN, in the Wall Street Journal and on BBC News, so you know it’s legit. 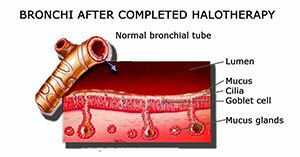 Since it is an all-natural treatment, there are no drug interactions or side effects. Personally, I have had some sinus problems over the years that I thought could benefit from the treatment, plus I could also check it out for my asthmatic brother. And who doesn’t love salt? Before I entered the cave, I donned some disposable booties over my socks, along with a hair net, which is all the rage in Paris (you can keep your regular clothes on besides that). I then relaxed into one of the three comfortable lounge chairs in the room, which tilt back into a restful napping position. A blanket was provided in case I got chilly, which I didn’t use until nearly the end of the session. Soothing music was piped into the room, which did a decent job of concealing the sound of the halogenerator. It was very peaceful, and conducive to napping, which I foolishly did not take advantage of, because I became engrossed in a magazine, as I tend to do whenever I enter a spa, silly girl that I am. When the main light in the cave came back on and the halogenerator ceased its hum, I have to say I was a little sad to return from my mental vacation, as somewhere in my mind, there was the recognition of being with Suzy selling seashells at the seashore. But my blues were swiftly obliterated with the calming facial, so it was all good. The salt air does seem to have cleared up some of my sinuses. I could also see how it would alleviate stress, not that I have any hint of that left in my current life of leisure. Would I do it again? Absolutely! And maybe sneak in a little margarita to sip on the side. Hold the salt on the rim, though, because, you know, that would just be a touch too much, even for moi. This entry was posted in Health and tagged Amethyst Spa and Salon, deal, halotherapy, health, May, salt cave, salt therapy, Toronto, voucher. Bookmark the permalink. 1 Response to Day 62: Sit In a Salt Cave.